Early Digital Research CP/M Source Code #makereducation « Adafruit Industries – Makers, hackers, artists, designers and engineers! Computer Scientist Gary Kildall created just such an operating system in 1974 for a small computer called the “Intellec-8” that Intel had designed to showcase their new microprocessors. 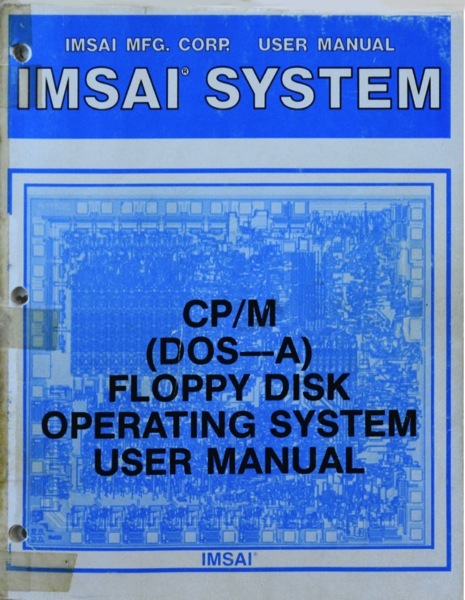 Called “CP/M”, it was unlike most other operating systems for small computers because it was written in PL/M, a portable higher-level language that he had designed earlier, rather than in the assembly-language of a particular computer. That meant that CP/M could be ported to run on many different personal computers. And if the applications were written in PL/M, they could be ported as well.